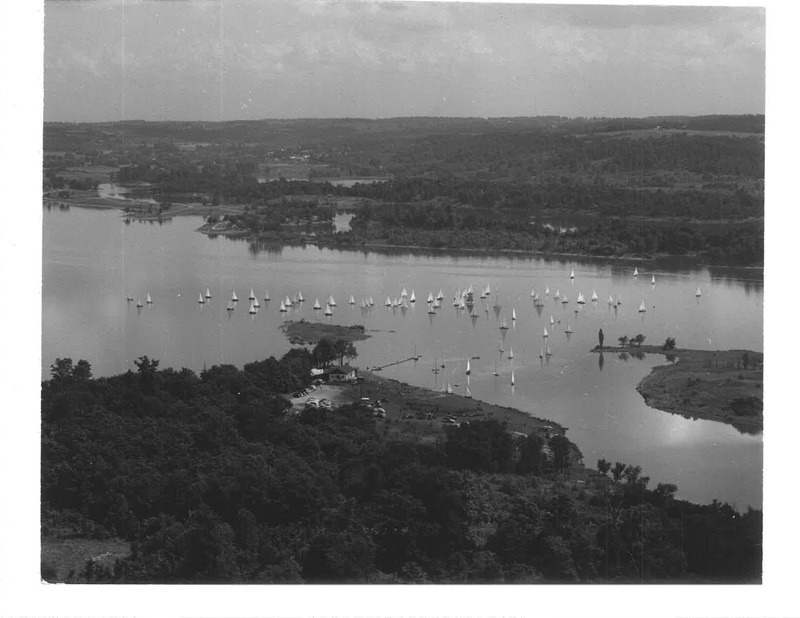 The Mohican Sailing Club was founded following in the early 1940’s, shortly after Charles Mill Lake was transformed from farm fields to a lake. In 1945 the Conservancy granted the club a site for a clubhouse, and the members built the clubhouse that currently stands. This 1942 Columbus Dispatch article announces the founding of the club. Below is an early shot of the club and boats.